Ahh, family travel. At times, one of the most enriching experiences a parent can have with their children. And at other times…pure chaos. 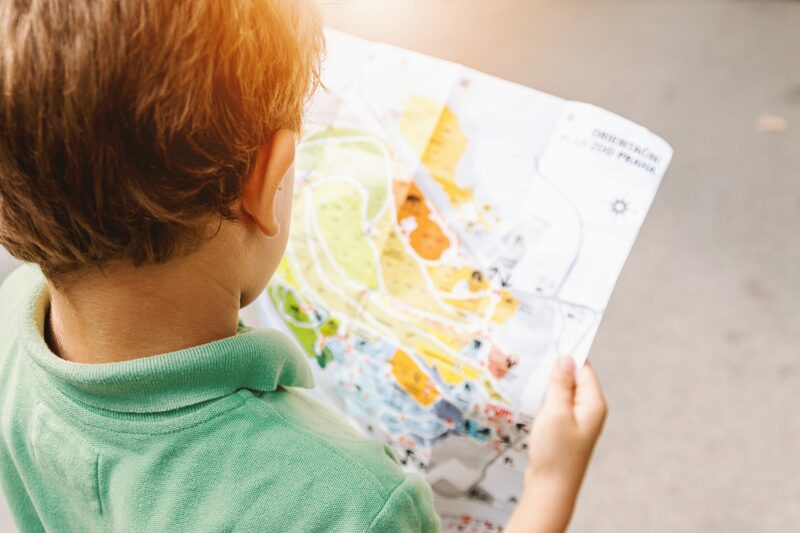 The good news is, there are tons of things you can do to make it a bit more likely that you’ll have the former experience on your next family adventure. We’ve talked about family travel a lot—tips for traveling with newborns and surviving family travel during the holidays, to name a few. It’ll require more prep and research, but it’ll be well worth it. Angkor Thom, or the “Great City”, is a slightly lesser-known but equally incredible neighbor to Cambodia’s famed Angkor Wat. You may have heard about it because of its famed face temples that sit at the front of its gates. If you haven’t heard of it, it’s time you get acquainted…especially if you have kids. The architecture and history of the ancient city of Angkor Thom are incredibly interesting for adults, but it offers an extra fun activity for families that you won’t want to miss: a treasure hunt. While learning about the city’s history and construction, you’ll be on the hunt for hidden carvings, clues, and images that will lead you to treasure when you put them all together to solve the puzzle. It’s a fun and enriching way for you and your kids to learn about this stunning piece of Cambodia’s history while keeping energy high. If you ask us, one of the best ways anyone can learn–kids, adults, and families included–is through service. REI offers a number of adventure vacation packages in which you can sign up for a pre-planned excursion to destinations all over the world for anywhere from 3 to 23 days, depending on where you’re going and what the trip entails. While there are tons of incredible adventures available to you, the ones that we think you and your family will learn the most from are those that fall under stewardship. REI Adventures offers five different options in this category, and each one is absolutely incredible. The first is Yosemite, a seven-day trip in which you and your family will do hands-on work to preserve this beloved national park. Another option is an 11-day trip to the Galapagos Islands that’s all about conservation and preservation of the islands’ unique ecological systems. The other three stewardship-oriented trips are to Machu Picchu, Alaska, and Patagonia–all equally as incredible, but different experiences at various price points. No matter what your kids are into, we’d be willing to venture a guess that seeing wild animals up close and personal in their natural habitats is sure to capture their interest–and yours too. While there are tons of amazing options when it comes to selecting an African safari, the Sossusvlei Desert Lodge in Namibia offers a program specifically built for kids. If you go for the lodge’s WILDChild Program, the kids in your crew will get a backpack full of educational and fun goodies and you’ll have access to kid-friendly activities like making traditional bow and arrow sets, fishing, crafting and more. You can learn more about it here. Plus, the lodge offers Namib Sky Balloon Safaris for those who want to take the adventure to the next level. If you’re planning to travel with your family, we offer insurance options tailored specifically to your needs–check them out here. And don’t forget to tell us how the vacation went (and what you learned!) after.